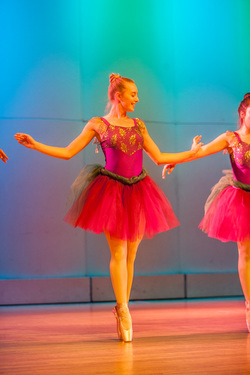 A Time To Dance offers many different courses to a variety of experience levels. We offer classes to all different age groups. Students are always welcome to branch out or join regardless of age or experience. Children work on fine motor skills. They learn timing, rhythm, right and left, follow- ing directions and to work well with others. Every movement learned in this class has a dance purpose and helps them to advance to the Combo class when they are 4. (Adv. Combo is suggested for 7 year olds before entering Junior Level) 8 is a better age to enter this level. 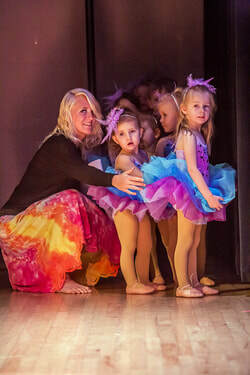 Classes are offered for Junior Level Students in tap, ballet, jazz and clog- ging. They choose the individual classes in which they have interest. Ballet is always suggested for new students. Ballet is the basis of all dance. Teaching methods for these ballet classes include Cecchetti, Vaganova, French and English methods. Students taking these classes should be ready to learn terminology (translations and spelling), positions and movements (how to execute them and teach them), improve in their ballet abilities, and add performance to their dancing. 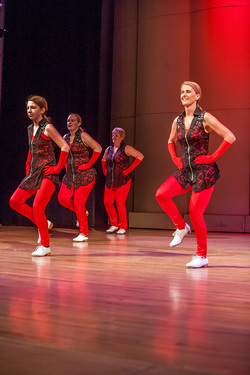 Jazz dance is a style of dance that is matched to rhythms and techniques of jazz music. Both traditional, modern and Broadway teaching styles may be used in your jazz class. This dance class includes a less traditional lyrical style. In this class students will explore movement that expresses the music and lyrics of songs they are dancing to along with some opportunity for exploring dances from other genres or cultures. This style incorporates balance, agility, flexibility and motor coordination to teach students basic acrobatic moves and tricks. We use no apparatus. We use mats to perfect skills then transfer these skills directly to the floor. It is preferred that a student registering for this class be registered in another dance class in the studio. Students will learn basic tap, ballet and jazz. This level is suggested for those students that have been in the specific dance style for at least 2 years and/or approved by Miss Catherine. This is for those more mature dancers that need harder technique. 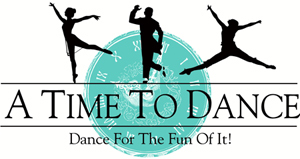 Classes are offered for Jr/Tn Level Students in ballet, clogging and hip hop style. We may offer Jr/Tn Jazz and Jr/Teen tap as needed. The students choose the individual classes in which they have interest. This style of dance is a more advanced form of ballet with specific shoes that allow for dancing on the tips of the toes. 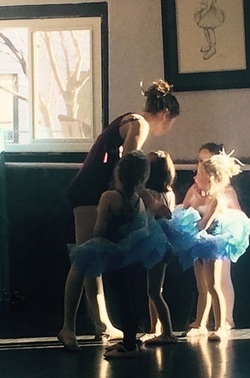 Dancers in this class must be approved by Miss Catherine and must be enrolled, simultaneously, in ballet class. This dance style derives from street dancing. It is primarily performed to hip hop music. In this class students will learn hip-hop dance steps and moves without the vulgar movement that is sometimes associated with hip-hop. Tap is a style in which the rhythm is tapped out with different parts of the foot. In this class dancers may learn Broadway and traditional styles of tap along with some rhythm or stomp. 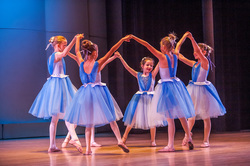 In all dance classes, with the exception of motion, students learn technique and terminology of the style(s) of dance included in their class. 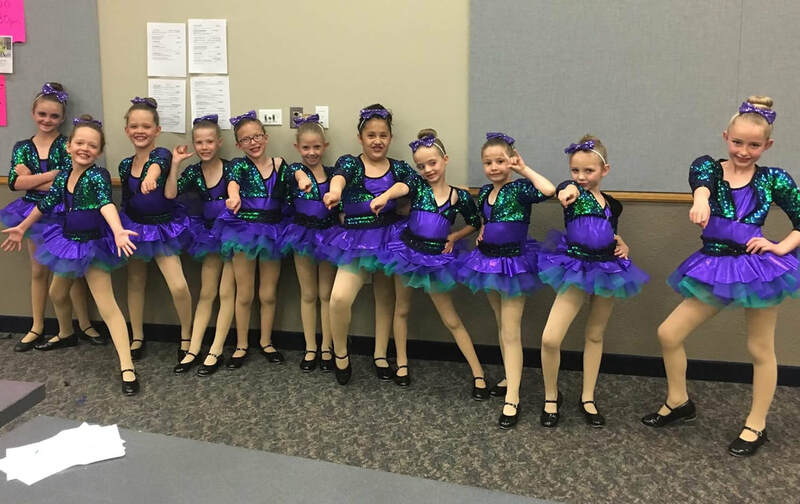 All dancers are given the opportunity to perform in the annual dance recital and other community performances throughout the year. At A Time To Dance we strive to use music that is family friendly, screening music before use, when possible. Most of these students have been in Combo and need harder technique. 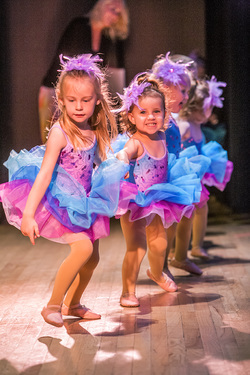 Students will learn tap, ballet and jazz that will help them as they prepare to enter the Junior Level dance classes. This level is for those students who can handle paying close attention to detail and is for the more mature dancers. There may be a mixture of abilities in one class but each student is pushed according to their own ability. 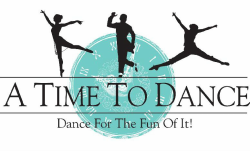 Classes are offered for Tn/Ad Level Students in Ballet, Pointe, Jazz, Contemporary, Lyrical Interpretation, Hip Hop Style, Tap and Clogging. The students choose the individual classes in which they have interest. Contemporary class is very stylized. To excel in this class, it helps to have a decent ballet background. Students taking this class should be ready to learn terminology (translations and spelling), positions and movements (how to execute them and teach them), improve in their abilities, and add performance to their dancing. This style is based on music video dance. It incorporates jazz and hiphop and may also include interpretive dance. This style of dance is similar to tap but the rhythm is different with the accent on the downbeat. It gets its origin in Celtic roots. This class will include Appalachian, Texas and Canadian Step Dance styles of clogging. Clogging is traditionally performed to country or bluegrass music however it can also be performed to more of today’s popular music. 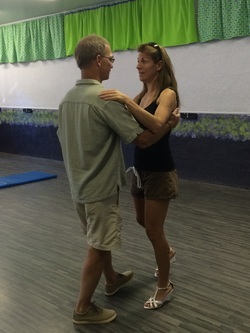 Catherine also offers private lessons for weddings and social dancing. Please contact Catherine directly to learn more.